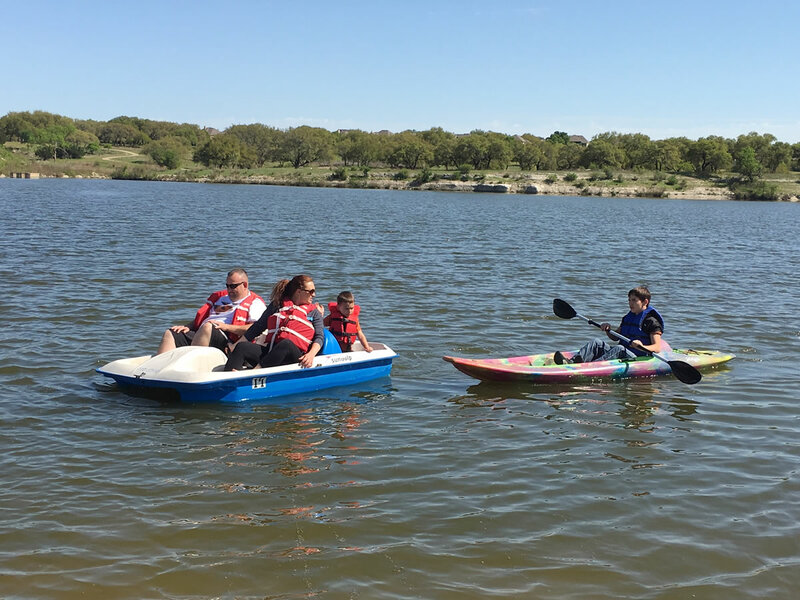 At our Cedar Park location, we offer pedal boat rentals that are great for the whole family. Each boat holds up to 2 adults and 2 children with a total maximum weight of 600 lbs. The pedal boat is powered by a propeller in the front of the boat which is turned by two sets of pedals. Both people in the front seats use their feet to turn the pedals and steer using a hand control in the middle of the boat. 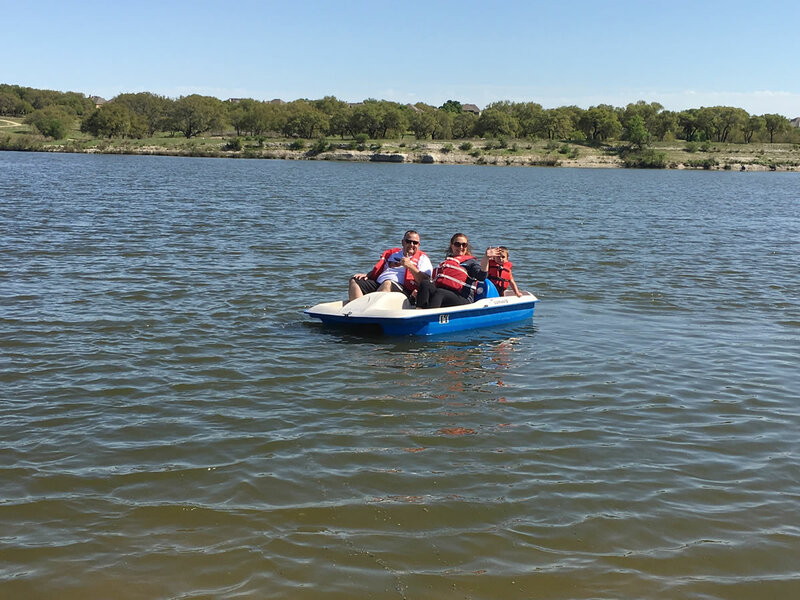 The pedal boat can be a great experience, but on days with wind of 15 mph or greater we suggest the pedal boat does not go out.